Get the 2019 Calendar now! $10 donation per calendar, plus S&H. 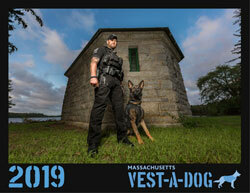 BONUS: FREE MA Vest-a-Dog window decal ($2.00 value) enclosed with all calendars! Since 2000, we’ve provided 546 K-9 vests! Support Massachusetts police dogs: help provide bulletproof vests, essential equipment, training, & dogs. 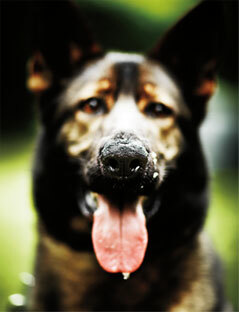 I can be trained to use my nose to search for suspects, victims, drugs, or explosives. When I’m working, I sniff six times per second.